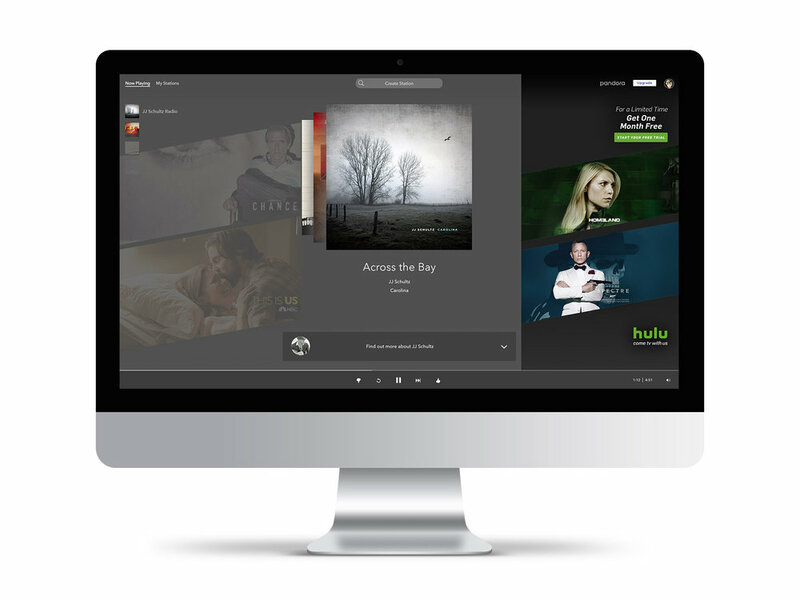 Pandora Media has a wide range of ad products in which all ad campaigns, from design to production, are managed by our very own in-house ad creative team. 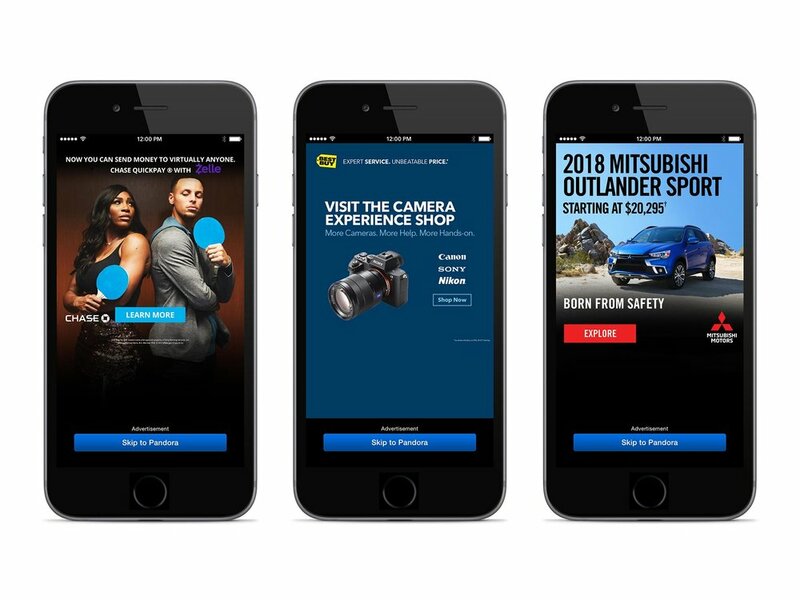 Our team collaborates with major brands and their design standards to create ads for a variety of web and mobile ad products, including mobile banners, web skins, slideshows, mobile sponsored listening, and more. Below are a few examples of the ad designs I have worked on during my time at Pandora. Rich Media interactive game advertisement for Hansolo campaign. 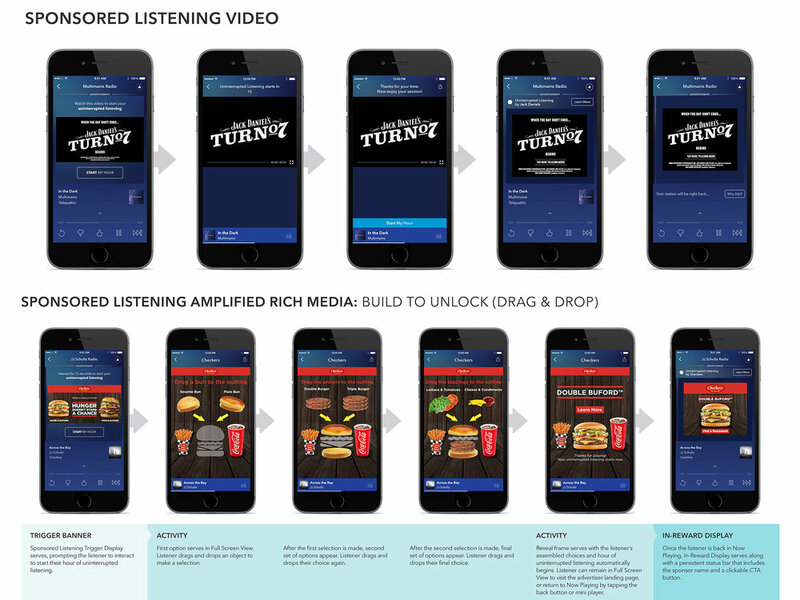 This concept was created in order to draw advertisers to work with Pandora. This sponsored listening ad product enables the listeners to have 2 hours of free uninterrupted listening if they engage with an ad for a few seconds. With a coworker from the Rich Media Design team, we conceptualized, designed and prototyped a game for the users to interact with.